Are you looking for coffee shop franchise business opportunity in Mauritius? You have decided for it then you have taken the right decision in which you can make money with good profits and margins. And BrewBakes, India’s leading food café & coffee shop chains, coffee shop master franchise business opportunity can be best for you. With us you will get solid business plan and comprehensive marketing strategy. You will get full support, pre-opening and ongoing, for the life of coffee shop in Mauritius. We can assist you select the right location in Mauritius for your coffee house establishment. There are numerous good places and perfect business climate in this beautiful country to choose from. So, fulfill the dream of being your own boss by grabbing coffee shop master franchise opportunity in Mauritius. Why BrewBakes Café Master Franchise in Mauritius? Mauritius is a beautiful country and island nation in the Indian Ocean. Known for its beautiful islands and beaches, the country offers favorable circumstances, good locations and right environment for success and growth of food business and coffee shop establishments. Port Louis (the capital and largest city of Mauritius), Cure Pipe, Grand Baie, Mahebourg, Vacoas, Quatre Bornes, Triolet, Le Hochet, Saint Pierre, and Beau Bassin are some of major cities in Mauritius where coffee shop business can be successful there can be great customer base informs of shopping enthusiasts, tourists, and local residents. Mauritius is economically rich island nation. The country is best known for offering excellent environment for financial services providing organizations such as banks, insurance companies, trading companies, etc. Financial services sector in Mauritius has witnessed rapid growth. Information and Communication Technology also contributes to Mauritius’s economy. Apart from finance sector & ICT sector, there are various other large-scale industries and small businesses are seeing good climate in the country. Air Mauritius, Bank of Mauritius, Barclays Bank Mauritius, Emtel, ENL Group, Essar Energy, LUX Resorts & Hotels, Mahanagar Telephone Mauritius Limited, Mauritius Broadcasting Corporation (MBC), New Mauritius Hotels Ltd, Omnicane, Phoenix Beverages, Rogers Group, State Bank of Mauritius, Phoenix Beverages, Mauritius Commercial Bank (MCB), Le Défi Media Group, Ireland Blyth Limited (IBL), and Le Mauricien are some of notable companies in Mauritius. Employees of these notable firms can be good customer base for your coffee shop establishment. Students and coffee are the perfect date. Students love coffee too much. There are various prestigious educational institutes and research organizations in Mauritius which offer good locations and customer base for coffee shop and food business. If you are planning for opening a coffee shop at one of famous educational institutions in this country then there is high chance of success. University of Mauritius, University of Technology, Université des Mascareignes, Anna Medical College & Research Centre, Centre for Legal and Business Studies, Middlesex University, Amity Institute of Higher Education, Charles Telfair Institute, JSS Academy of Technical Education, Sir Seewoosagur Ramgoolam Medical College, Whitefield Business School, Vatel Hotel & Tourism Management School, Rabindranath Tagore Institute, Mauritius Institute of Education, Mauritius Institute of Health, London College of Accountancy, Mahatma Gandhi Institute, Glamis Business School, Ecole de Medecine Louis Pasteur, Elite Business School, Fashion and Design Institute, BSP School of Accountancy & Management, and Alliance Française de l’île Maurice are some of popular educational institutions in Mauritius which can be good for coffee shop establishment providing good traffics to the café. Coffee shop franchise business can be also successful in Mauritius because of tourists coming here from different parts of the world. Tourists can be a great customer base for your coffee shop. Mauritius is one of the most beautiful countries and sought after tourist destinations in South Asia. It is very popular among tourists because of its beautiful islands & beaches, lovely landscapes, fabulous hotels & resorts, and culture & tradition. 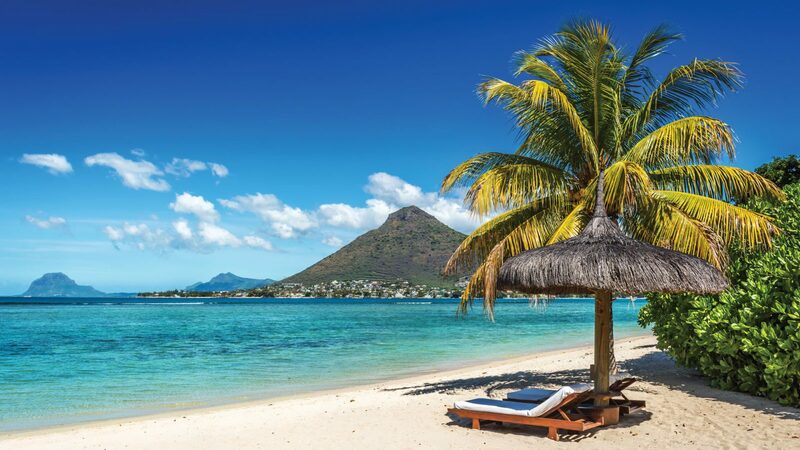 Lux Resorts & Hotels, Sun Resorts, Long Beach Resorts, Attitude and VLH Heritage, and Beach Comber are major hotel and resort groups in Mauritius providing tourists good accommodations facilities including recreation, sightseeing, excursions, and memories to cherish for lifetime. There are various interesting places and lots of attractions to see in this beautiful island nation. Mauritius Botanical Garden (also known as Pamplemousses Garden and SSR Botanical Garden), Black River Gorges National Park, Île aux Cerfs Island, Port Louis, Grand Bassin, Chamarel Park, Trou aux Cerfs, Ile aux Aigrettes, Gabriel Island, Eureka House, Chamarel Waterfalls, Exil Waterfalls, Rochester Waterfalls, Tamarind Waterfalls, Alexandra Waterfalls, Balaclava Ruins, Mahebourg, and Flacq are some of popular places and attractions to see in Mauritius. You see that there are many things that appeal to set up your coffee shop business in Mauritius. Industries, IT companies, financial companies & organizations, perfect business climate, ease at procurement of raw materials & manpower, boom in hospitality & tourism sector, and prestigious educational institutions are some of major factors justifying the success of coffee shop master franchise business in Mauritius. BrewBakes coffee shop master franchise opportunity would be indeed the best opportunity for those peoples who are looking for food business outlets in Mauritius to earn money with good profits. BrewBakes has grown strength to strength as India’s leading coffee shop and food café chains. In few years, it has been a reputed brand name in the industry. More and more people from various Indian cities are showing interests for getting franchise with us. Catering to people needs and budget we are offering economical and profitable franchise models for coffee shops and food café outlets. We have setup 35+ café outlets in various cities and states of India. Getting success and remarkable presence in Indian food café industry, we are now offering coffee shop master franchise opportunities to cater international markets. We are offering food business and coffee shop master franchise business opportunities in Mauritius, Indonesia, Kenya, Maldives, Myanmar, Bangladesh, Philippines, South Africa, South Korea, Taiwan, Vietnam, and various countries. If you are looking for a profitable business opportunity at low investment then BrewBakes café master franchise is certainly the best fit for you.